Following our redesigns for 6 O’Clock Gin and our limited edition Brunel Bottle, the distillery returned to Green Chameleon once again! 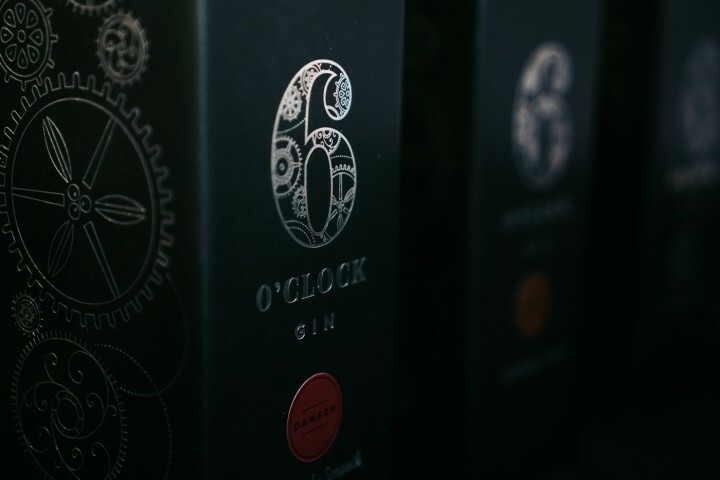 This time, 6 O’Clock Gin wanted to create a series of gift boxes that not only acted as practical housing for the full range of 6 O’Clock products but also looked superb when standing alone, whether spotted on the shelf or given as a gift. These boxes came with their own set of challenges, as we only had scope to create one additional box that would need to house 3 different products: the special Brunel edition, the Sloe gin and the Damson gin. 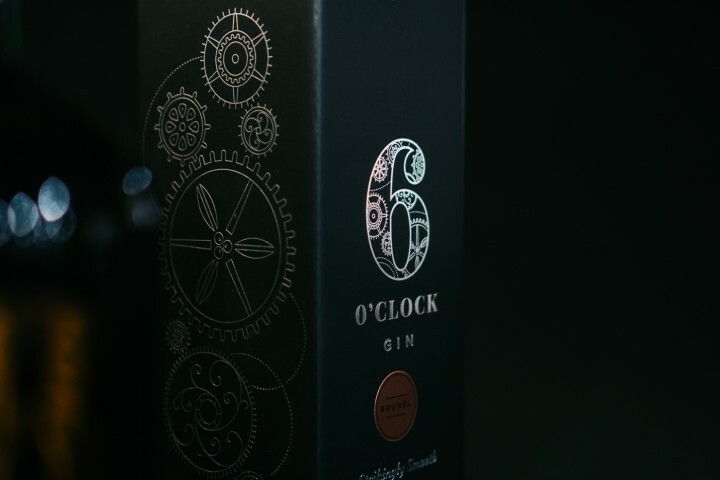 We also needed to keep the packaging consistent and retain the sense of heritage that is central to 6 O’Clock Gin’s appeal whilst creating packaging that felt new and unique. The design for the set came together organically, as we wanted to keep the design streamlined and simple whilst expanding on the original design work created for the brand. 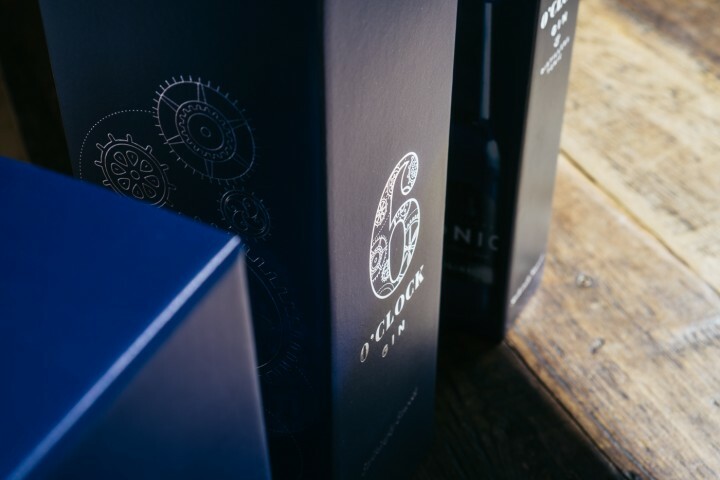 To keep the new gift boxes in-line with our previous branding for 6 O’Clock, we emphasised the mechanical elements we’d previously used for the distillery and utilised silver foiling techniques with an aim to mirror the bottle found inside the box. 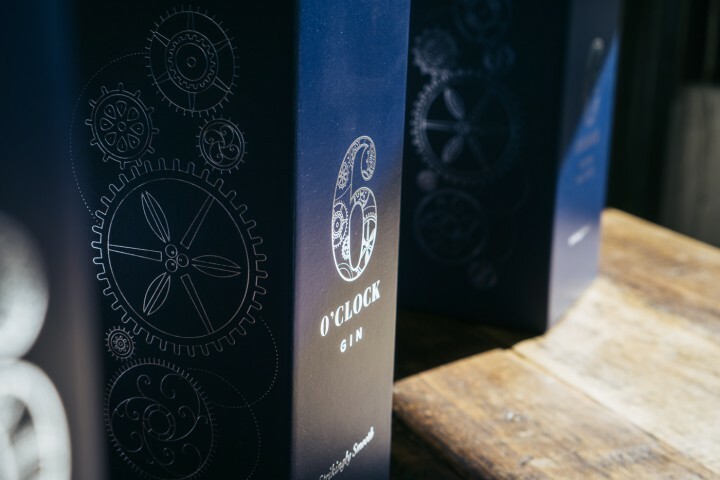 The final gift boxes stand proudly in-line with the 6 O’Clock Gin range, maintaining the brand’s powerful core elements whilst offering a beautiful bit of packaging that can stand alone and bring a warm extra element when the gin is given as a gift.